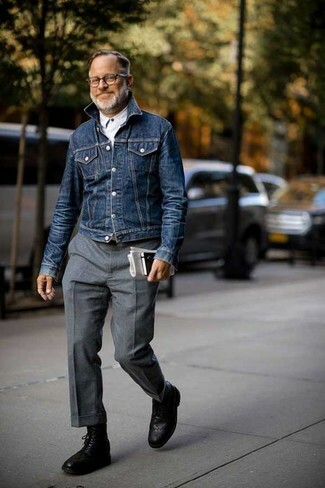 For a nothing less than incredibly stylish ensemble, dress in a Jacob Cohen fitted denim jacket from farfetch.com and grey wool dress pants. For something more on the daring side to finish off this getup, grab a pair of black leather brogue boots. 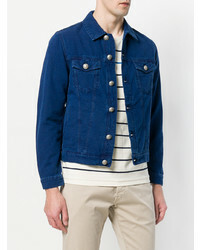 If you're scouting for a casual yet dapper outfit, pair a Jacob Cohen fitted denim jacket from farfetch.com with navy chinos. Both of these items are super comfy and will look great when worn together. To break out of the mold a little, opt for a pair of multi colored athletic shoes. 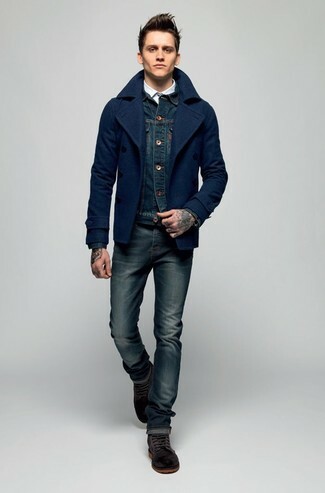 Make a Jacob Cohen fitted denim jacket and charcoal dress pants your outfit choice like a true gent. 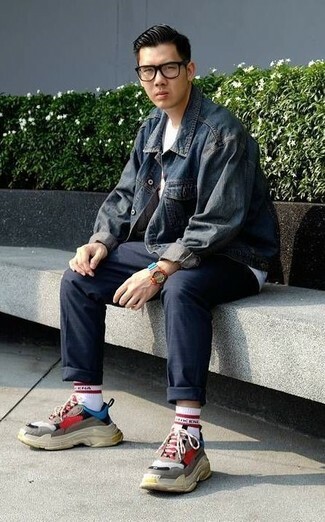 For something more on the daring side to complement this getup, go for a pair of white leather low top sneakers. 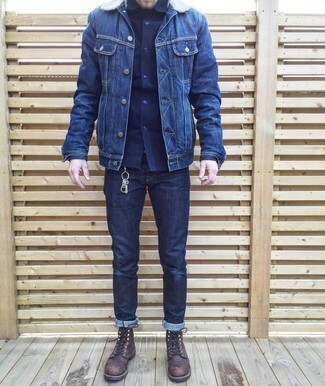 If you're scouting for a casual yet on-trend ensemble, make a Jacob Cohen fitted denim jacket and navy jeans your outfit choice. These pieces are totally comfy and look great when worn together. Got bored with this look? Enter dark brown leather casual boots to spice things up. 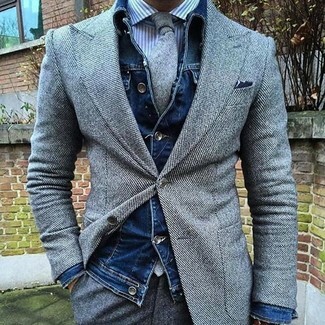 Consider teaming a Jacob Cohen fitted denim jacket with grey wool dress pants for a sharp, fashionable look. 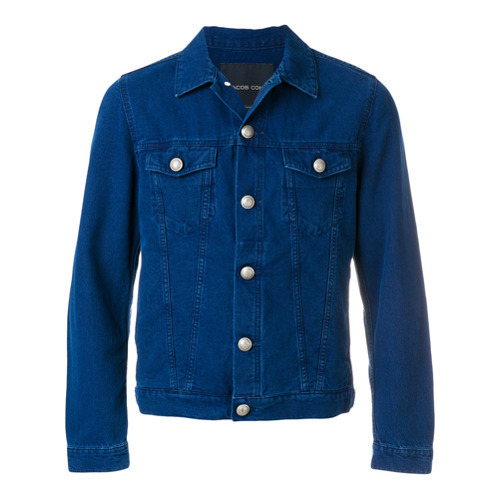 If you're on the lookout for a casual yet seriously stylish ensemble, pair a navy denim jacket with light blue skinny jeans. Both pieces are super comfy and will look wonderful when worn together. Kick up the cool of your outfit by wearing black leather oxford shoes. 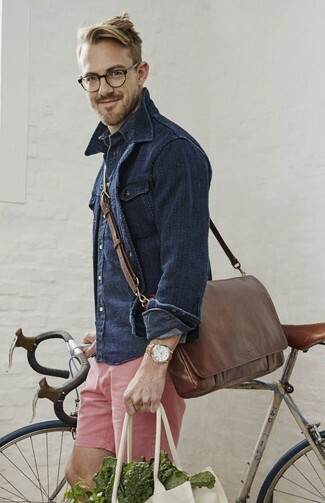 If you're looking for a casual yet seriously stylish ensemble, go for a navy denim jacket and pink shorts. As well as totally comfy, both garments look amazing together. 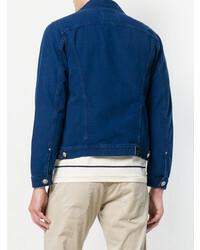 If you're on the hunt for a casual yet sharp look, pair a Jacob Cohen fitted denim jacket with navy jeans. Both of these garments are very comfortable and will look great paired together. 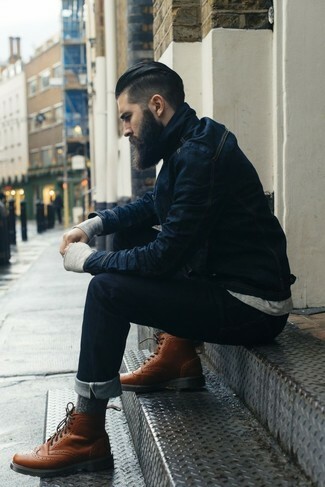 Wearing a pair of brown leather brogue boots is a simple way to add extra flair to your outfit. 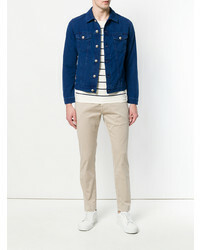 If you're in search of a casual yet stylish ensemble, marry a Jacob Cohen fitted denim jacket with navy skinny jeans. These two pieces are super comfy and they also look wonderful when worn together. Kick up the cool of your outfit by wearing dark brown suede desert boots.